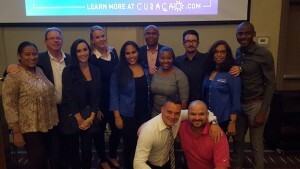 The Curaçao Tourist Board joined by hotels and tour companies presented its exceptional destination, products and services to the travel trade across Canada. WILLEMSTAD – Aiming to further grow and expand the Canadian market, the Curaçao Tourist Board teamed up with in-market wholesale partners Air Canada Vacations, Sunwing Vacations, Travelbrands, as well as private sector partners to organize the annual Canada Road Show to educate their best-selling travel agents and keep Curaçao on their radars for the upcoming winter season. 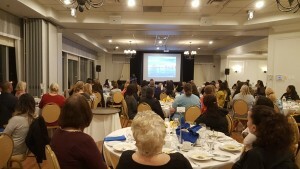 Last week, the Curaçao team hosted several trade educational seminars throughout Canada in Pointe-Claire, Waterloo, Oakville and Toronto promoting Curaçao as top destination for this 2016/2017 winter season and beyond. The Curaçao Tourist Board was supported by several private sector tourism partners, including Avila Beach Hotel, EM City Hotel, Floris Suite Hotel, Funbini Taber Tours, Hilton Curaçao, Kunuku Aqua Resort, Lions Dive & Beach Resort Curaçao, Papagayo Beach Resort, Santa Barbara Beach & Golf Resort, Serenity Transfer & Tours and Sunscape Curaçao Resort, Spa & Casino. In addition to the educational trade seminars, CTB also hosted “Toronto Travel Massive”, a travel-focused networking event that attracted over 80 top travel media, agents, tour operators and other key industry professionals including media from key consumer publications such as AFAR, USA Today, the Globe & Mail, Canadian Living, Huffington Post Canada, Travel + Escape, Reader’s Digest Canada and more. A #RightNowInCuracao social media contest during this event was an astounding success delivering over 997,000 impressions on Twitter and Instagram. With 5 weekly non-stop flights from both Toronto and Montreal to Curaçao, Canada continues to be one of Curaçao’s core markets throughout the winter season.